The launch of the Satellite Sentinel Project captured the attention of national and international news media last week, and has been prominently featured in dozens of countries. 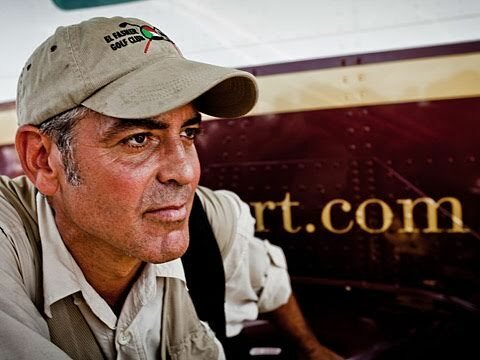 Washington, DC – A new human rights project -- initiated by George Clooney -- will combine satellite imagery analysis and field reports with Google's Map Maker technology to deter the resumption of war between North and South Sudan. Here you can see all of the photo galleries relating to the Satellite Sentinel Project. Here you can see all of the videos related to the Satellite Sentinel Project. Debuting in a blog post today by Nick Kristof of The New York Times, a new video co-produced by Sudan Now and Not On Our Watch captures the precariousness of the present moment in Sudan, as the country prepares for a historic vote expected to split it in two. With voter registration complete and less than a month before voting is set to begin, referendum preparations and negotiations for post-referendum arrangements continue in Sudan. Tensions continue to run high, with an increasing number of returnees, violence along the border, and a failure to reach an agreement on Abyei. In Darfur, renewed fighting continues to imperil civilians despite some progress at the negotiations in Doha.